Learn what's new from Labrada Nutrition, including the new Jamie Eason Lean Body line and some exciting new products yet to be released. Lee leads from the front so his company may never fall behind. He's hard at work, every day, to make sure his customers get what they pay for! How involved are you in day-to-day operations? I am here every single day, from bell to bell, leading from the front. It's necessary to do that if you want to stay attuned to your customers' needs. You have to be creative, flexible, and to do that you have to be hands-on. I'm surrounded by a great team of people so I don't micro-manage; everyone has their own area of expertise, but I provide creative vision and work with marketing, sales, and research and development to create products. There's no offseason for an owner. Of course I always work time into my day to work out. As Mr. Olympia Chris Dickerson told me once upon a time, "Once a bodybuilder, always a bodybuilder." My heart is that of a bodybuilder. I know my audience and my customers, so I love that lifestyle. I exercise every day and make sure I have time to do that. Obesity is wrecking Americans. As a company owner and rep of the industry, do you think it's your responsibility to help fix that problem? Absolutely yes. We're not in this just for the profit. We are here to help people, society at-large, to get better. There are a lot of people who are sick, and they are sick because they don't exercise and don't eat right. I encourage everyone who reads this to help someone get into shape. If all of us who are in shape go out and take someone under our wing, imagine what we could do. It would be like an army of people getting a multitude of other people in shape! It would be awesome. Anybody, no matter what condition you are in, whether you are heavy and overweight or thin and trying to put on weight, whether you have had physical impairments or challenges to overcome, you can improve. It's a question of knowing how to train, eat, and supplement correctly and stay motivated. We help people with way more than with supplementation. We educate and motivate them, and become a trusted partner they can join in their journey toward physical fitness. 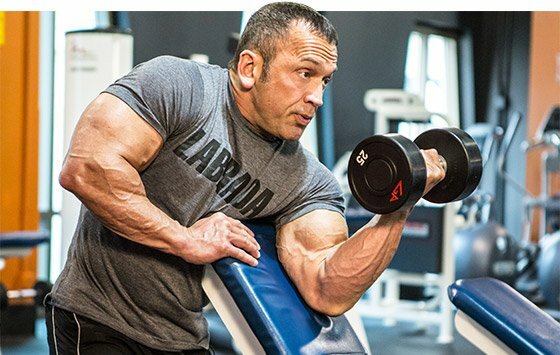 How were you able to make this company mirror your own values when it comes to bodybuilding? Our products always meet label claim and are tested by independent laboratories, so people get what they pay for. We don't hide ingredients in proprietary blends, so customers know what they're paying for and how much they're getting of each ingredient. It's about creating value for our customer. We never spike our products with questionable or illegal ingredients. Our products taste better. We spend more money on higher quality flavorings than our competitors. That's why we won the American Culinary Institute Gold Medal for taste. Lee never stopped lifting. He works every day to make this the best company in the industry, but takes time to set bodybuilding goals. What is more difficult, preparing your body for the stage, or a product for the market? Preparing your body for the stage is a challenging physical and mental process. That's why most competitive bodybuilders throw in the towel after a few years. But like anything else in life, if you work at something consistently, you get better at it. Bodybuilding teaches you lessons, like persistence, which you can apply to business. Bringing a product to market brings challenges of its own, but they are very different. It requires knowing the needs of your customers, it requires creativity, and it requires the ability to mobilize people and resources. It does require every bit as much persistence, however, as preparing your body for competition. The biggest difference is that when I'm preparing my body for competition, it's just about me, and if I fail I'm only letting myself down. When I'm bringing a product to market, it's all about my customers, so I can't fail, because I can't stand the thought of letting them down. Your supplement line is extensive, but do you have a favorite? What is most popular among customers? We have more than 115 different product SKUs is in our line, so yes, it is extensive, but it's for a reason. We believe in offering something for everyone regardless of whether they want to build muscle, burn fat, improve performance, or just improve their general health. That's why we have a protein line, a performance line, a wellness line, and a women's line. They are all popular, and address different interests and goals. 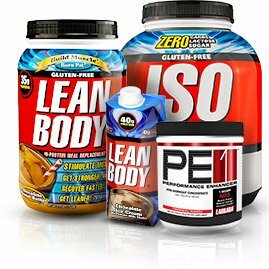 My personal favorites include the Lean Body MRPs and RTDs, the IsoLean Pro whey protein isolate, and our new PE-1 Performance Enhancer Pre-Workout Concentrate. What new and exciting products can we expect in the near future? PE-1 is Labrada's next-generation pre-workout concentrate that contains a special citrulline nitrate compound combined with performance-enhancing ingredients that create dramatic vasodilation and energy. If you're a bodybuilder, you're going to love this product. It simply blows the competition away. PE-1 means "Performance Enhancer, 1 scoop." Where do you think this company will be in 10 years? Will you still be at the helm? I know we will firmly establish ourselves as the most trusted name in sports nutrition. We exist to help our customers take control of their bodies and get into their best shape. Whether it's burning fat, building and toning muscle, enhancing performance, or becoming healthier and more fit, Labrada will be there to help you. In 10 years, we will be bigger and better than ever, and helping more people than ever. And yes, God willing, I will still be coming into the office every day, just like I do today, to lead Labrada Nutrition. Is your son Hunter fit to sit on the Labrada throne? Hunter represents the continuation of the Labrada legacy. We are very excited about his working with us. He's got incredible genetics (if I may be so bold to say). He has an incredible work ethic. He's 5-foot-9, 230 pounds, with single-digit body fat. Hunter Labrada has taken bold steps to becoming a pro bodybuilder. Lee says the current Texas A&M student is the future of the brand. He's just on a mission. He's put on 100 pounds in the last 6 years. He's just a real inspiration to a lot of the younger bodybuilders. He's going to be a great representative for the Labrada brand. What is Labrada TV? How has technology helped spread the outreach for your company? Labrada TV is our free, web-based video channel that exists to educate and motivate our athletes, bodybuilders, and fitness enthusiasts. We currently have almost 200 feature videos that run the gamut of fitness, nutrition, supplementation and motivation. Whether you want to learn how to burn fat, build muscle, eat healthy, or need help getting motivated to diet or workout, there's a video on Labrada TV for you. Technology is making it easier for us to build relationships with our customers and engage in a conversation with them. Labrada Nutrition has more free resources for the athlete and bodybuilder on its website than any competing supplement company. We have hundreds of free online videos, expert articles, recipes, the Lean Body and Lean Body for Her e-newsletters; even an online 12 week Lean Body Challenge to help people get into shape. Please tell us about the Lean Body for Her Jamie Eason Signature Series. Why start a line directed at female fitness enthusiasts? Jamie has become a women's fitness icon by helping hundreds of thousands of women reach their fitness goals. She created the LiveFit trainer, which you'll find here on Bodybuilding.com. Jamie is a big believer that healthy, natural nutrition plays a major role in helping women get leaner, healthier and more toned. Jamie's signature series supplements do just that. I've known Jamie for years and can't think of a better partner to develop a women's line with. She's a high-integrity person who genuinely cares about the well-being of her fans and followers. We are honored that Jamie chose to partner with Labrada Nutrition for her product line. Trust is the most important factor in human relationships. We share a one-on-on relationship with our customers, and we value that, so we always do things with our customer's well-being in mind. Building trust requires honesty. For over 18 years, our products have always met label claim: "If it's on the label, it's in the bottle." Labrada supplements are tested by independent laboratories to ensure this. We don't hide ingredients in proprietary blends, like other companies do, so our customers know how much they're getting of each active ingredient. Before we wrap this up, is there anything else you would like to share? 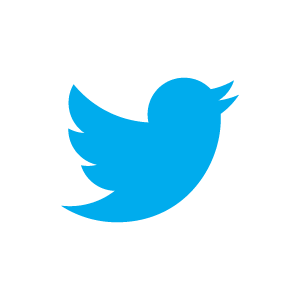 Is there anyone you would like to thank or give a shout out to? Yes! Be sure to check out my Lean Body Daily Trainer right here on Bodybuilding.com! Also, I'd like to express my sincerest appreciation to my good friend, Ryan DeLuca, the founder of Bodybuilding.com, for building such a great bodybuilding community through his vision, hard work and dedication. We're proud to be aligned with Ryan's mission to improve lives and build better bodies. TWEET THIS ARTICLE: "Discover the next generation of supplements from @Labrada #supplements #labrada #bodybuilding"
Jamie, you've worked as a spokesmodel for some time, but what made you want to join the Labrada team? Lee Labrada approached me with this amazing partnership opportunity. Lee has served as both a mentor and inspiration to me. His company is known for the highest-quality products and incredible flavors. He felt that female products were under-represented in the industry and that together we could create a line of products based on what consumers have been saying they want and what I myself have wanted. There is absolutely no ego with Lee. He genuinely cares about listening to customers and exceeding expectations. I couldn't have picked a better partner. I knew immediately that with Lee and Labrada Nutrition, I'd finally be able to have the supplement wish list I always wanted! Can you explain the motivation behind the Lean Body For Her Signature Series? Jamie is a new mother! Her training, nutrition, and supplementation have changed, but she still works hard to maintain her physique. I started my fitness journey taking Lean Body for Her products back in 2004, so I knew the flavors were awesome. My hope was that we could capture those same amazing flavors but with all-natural ingredients. I just had a baby and am currently nursing, so I only want the cleanest and most natural ingredients for both me and the baby. From the multivitamin and the krill oil to the protein powder and anti-bloat product—recommended post nursing—I can feel good about taking these supplements and any others we may add to the line to support my fitness goals without any worry. Consumers are much smarter these days and more likely to educate themselves when it comes to fitness, supplementation and nutrition. As more and more people (men and women alike) seek out products made with only natural ingredients, I'm thrilled to be able to offer such an incredible line through Labrada Nutrition. When training, what is your favorite Labrada Nutrition supplement? How do you use it? My favorite Labrada supplement has to be the protein powder from my signature series. Being a new mom, there are times when I might end up skipping a meal, which was unthinkable in the past. With the protein powder, I always have something quick that is good for both me and the baby—since I'm nursing. I only want to eat what I would want him to eat, so it's now even more important to me to stay away from pre-packaged and highly processed foods. I might have a protein shake in the morning, and I also like having a shake post-workout with a little bit of fruit to take advantage of that window of time when my muscles need it most. The protein powder tastes great in my homemade foods, like protein bars, muffins and pancakes. Can you share some supplement lessons with us? Do we all need to take them? Years ago when I first competed, I took my essential fatty acids (flaxseed, krill oil, fish oil, etc.) at the instruction of my nutritionist. I took first place in that show and was likely in the best shape of my life. Later that year I was competing again and when I ran out of my EFA, I just left it out of my nutrition program. That was the only variable that changed in my training and nutrition and I could not get as lean, and dieting for that show was much harder. Jamie has been with Bodybuilding.com for more than seven years. Her new Labrada line marks a new era for the fitness icon. I learned from that experience the importance of EFAs. Some of the many benefits are that they keep us satisfied, aid in digestion, increase metabolism, reduce inflammation and increase insulin levels, which aids in weight loss. Even though I no longer compete, I take my krill oil every day. How has your performance improved using Labrada Nutrition's supplements? Having the Labrada Nutrition supplements in my Signature Series helped support my nutrition as I returned to training post-pregnancy. Ask any pregnant woman if there are foods she has aversions to and she will likely list a few she can't even smell, much less eat. Many of the food choices that I ate pre-pregnancy, like eggs, chicken, broccoli and asparagus, still turn my stomach post-pregnancy. This is why I love the food-based multivitamin with the veggie complex and my protein powder. Do you have a specific message you want to share with Labrada customers? I'm so grateful for the support and trust people have in me to follow the programs I write and to try my products. Before I put anything out, I always ask myself, would this be something I would give to my own mother or tell her to buy? I am so proud of this product line with Labrada! We worked long and hard and went through many revisions to get them just right. I truly hope that you end up loving the products as much as I do and that they help support you as you continue to pursue your goals! Dymatize is a giant of the supplement world. Its products cover spectrum of customer needs and get tested like no other. If you have a goal, Dymatize can help you achieve it. The most important thing about any supplement is whether or not it is effective. IMAGE Sports is growing up fast because of its supreme focus on efficacy.